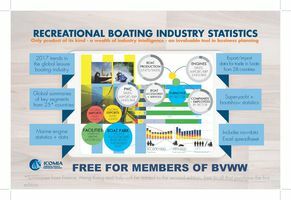 The BVWW Yellow Pages offer you a possibility to search directly for companies and partners from the maritime business. If you're interested in special products or services, you can use up to three detail levels to specify the product group that you're looking for. You can find a structured overview of all product groups here. All product groups in alphabetical order are listed here. Here you can choose what kind of company or partner you want to list. Just set the mark for the type(s) of company you want to search for. If you are looking for a certain company, enter your search words in the "Company" field (partial company names possible). The field "Postal Code" can contain a range of postal codes (e.g. "5" for all codes starting with a "5") and in the "City" field you can enter the name of a town. All search criteria can be combined. By clicking on "Start Search" you get a list of all companies matching your search criteria.